As a rule of thumb I will only make kofta with freshly ground lamb mince. For this you will need to visit a respected butcher. The spices to flavour the meat are important. I use Middle Eastern flavours – cinnamon, all spice, and nutmeg. To heighten these spices I add smoked paprika and lemon zest. Now, not traditional to a kofta mix, but something I think works a treat, are chickpeas. These need to be blended to a rough crumb and combined with chopped parsley and onion to the free-range lamb mince. 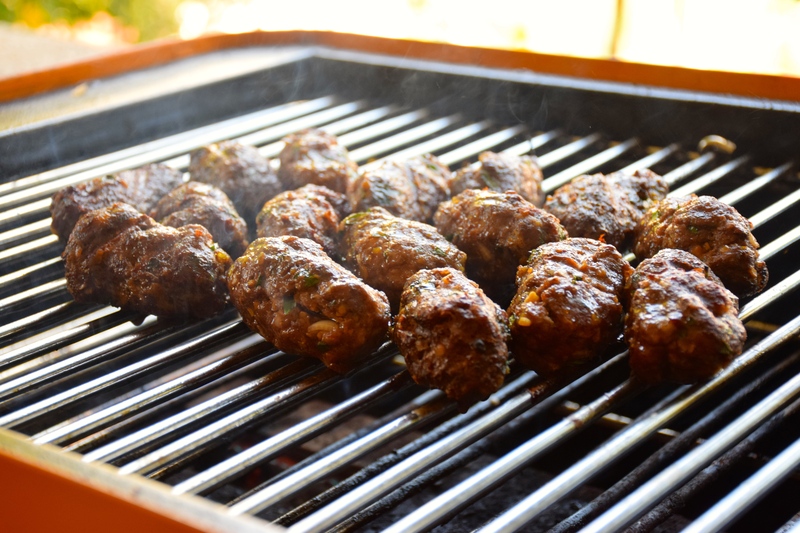 Kofta can be cooked in a fry pan, but for a taste that is hard to beat I cook them on the barbecue – rather slowly in fact. This gives them a chance to cook through properly without getting too dark in colour on the outside. This batch took 20 odd minutes to cook. That leaves plenty of time for laying the table, which if at all possible, setting a table in the garden and eating them out side only adds to the experience of this satisfying meal. A subtly spiced lamb kofta (not the prettiest of foods) needs two things. 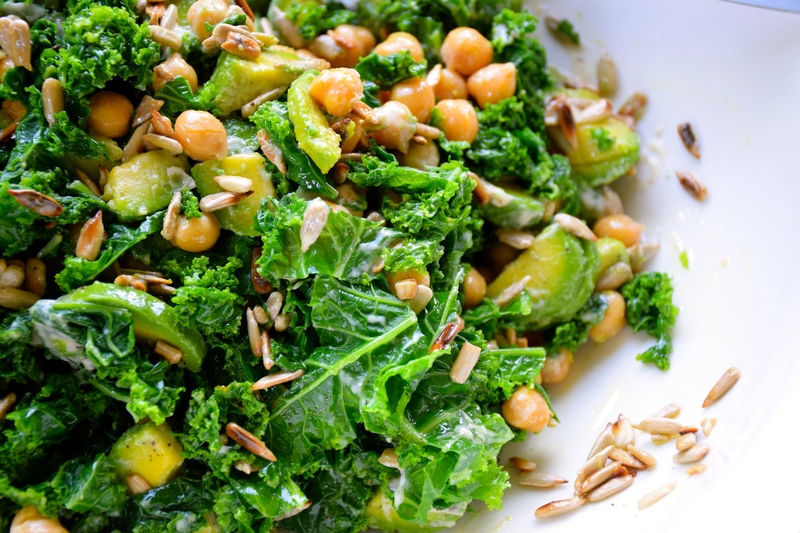 A good salad; enter kale. And a good sauce; enter tahini. When crisp sprightly leaves of kale are shredded and steamed they soften and relax and suddenly the kale is vibrant and green with a milder flavour than when served raw. It’s delicious alongside these homemade kofta. Although the salad and kofta are good companions there is no reason why either one couldn’t be made as a dish on it’s own. Tahini offers it’s versatility in this recipe as both a sauce and a salad dressing. It might be known that tahini – ground sesame seed paste – loves lemon juice, and garlic for that matter, and when combined with the simple pairings of salt and pepper makes a flavour worthy of both these dishes. And then thee’s the grilled bread, it is optional, yet I find it hard to resist. 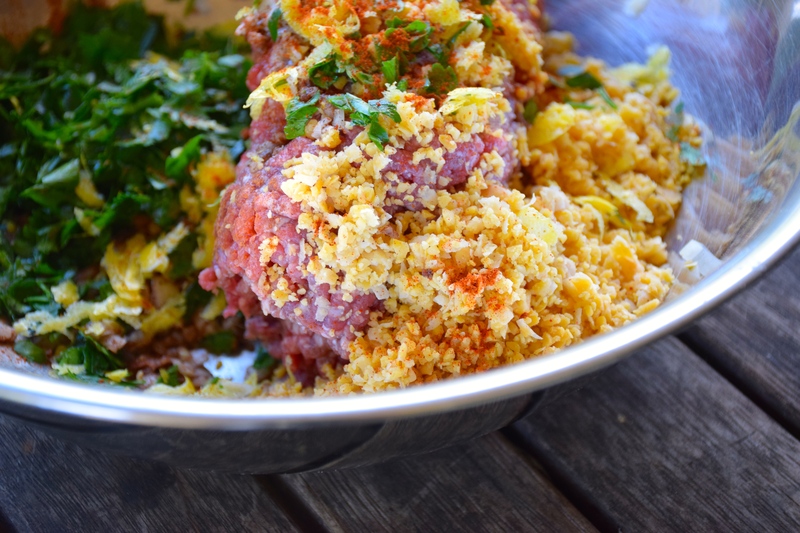 For the kofta, place the lamb mince, spices, seasoning and lemon zest in a large bowl. Place the chickpeas in a food processor and blitz to a small crumb, add to the mince. Put the onion, garlic and parsley in the food processor and chop finely, add to the mince. Use your hands to mix the kofta till well combined. Take small handfuls of kofta mince and shape using the palm of your hand into small sausage like cylinders. Place on a tray and set aside out of the fridge for 30 minutes. Meanwhile, steam the shredded kale for 2 minutes, rinse briefly under cold water to cool then squeeze the excess water from the kale, place in a large salad bowl. Add the remaining drained and rinsed chickpeas, sliced avocado and toasted sunflower seeds (make sure they’re cold). For the tahini dressing, place all the ingredients in a small bowl and mix to combine. Check the seasoning and consistency, if the tahini dressing is too thick add a dash of hot water or a little extra lemon juice. Pre heat a barbecue or a frypan (use a little oil if using a fry pan). Cook the kofta on a medium to low heat so the meat cooks slowly and cooks all the way through, turn regularly to ensure even cooking. This can take 20 odd minutes on a low barbecue or if using a fry pan maybe 12 – 15 minutes. Just before serving, take a few tbsp of tahini sauce and dress the salad, toss to combine. 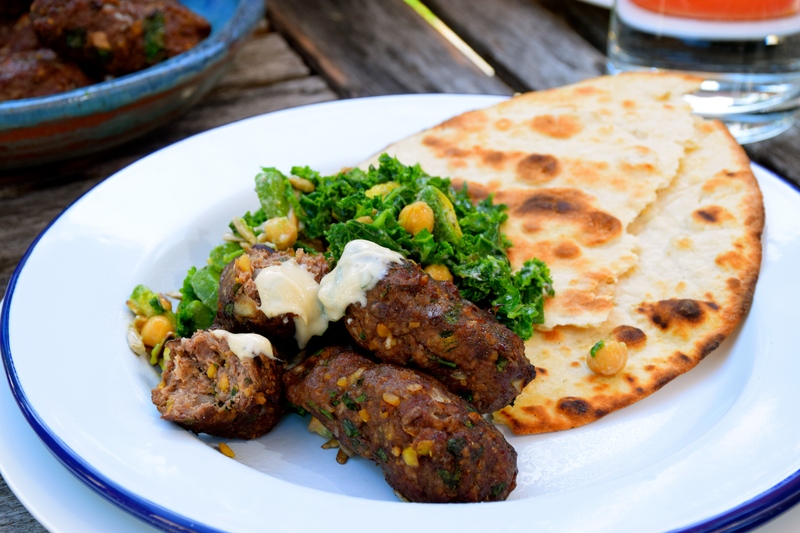 Serve the kofta with the remaining tahini sauce. To accompany the meal you might add some grilled pita bread or sliced tomatoes – this is optional. What a beautiful looking dinner, and so healthy and well-balanced. It would be a great dinner, we ate it for Sunday lunch out side in the garden – perfect! There was barely time to get a shot before hungry mouths were busting to eat. Oh my goodness. This recipe just knocked my socks off! 🙂 It’s exactly the flavors I have been craving and cooking lately. I like the idea of grilling them rather than pan fried. Your salad is incredible. I am going to cook it all. Thank you for sharing a two great recipes. Yum, what a lovely meal!! I love everything about this post. 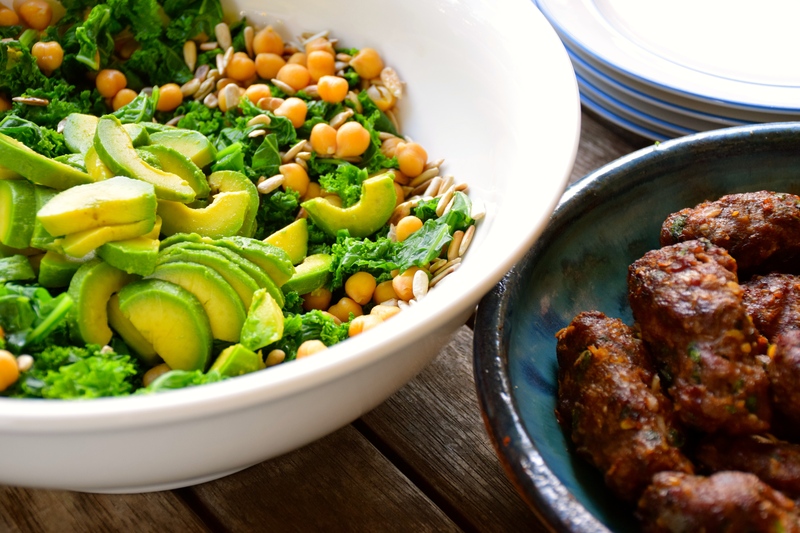 The salad and the lamb koftas. Looks superb. I must try this one day, thanks for sharing your recipe! I can just smell the kofta!!! I love all of the components of this meal. FAbulousness!